What is it about all the fancy names with cocktails? Who really thought of these names and why? These beautiful and classy variants, almost makes every drinker drool. Let's unravel the mystery behind one amongst the favorite drinks of the word. Cocktails have served as inspiration through the ages for writers, artists, politicians, socialites, and powerful business executives. The cocktail is intimately integrated into popular culture, from the movies like Cocktail, Bloody Mary, Tequila Sunrise and to songs The Pina Colada Song, Margaritaville and many. Although most people have heard the names of the most famous and infamous cocktails, we don't really know where these names originated? Who was Tom Collins, anyway? Were White Russians first served up in Moscow? Is a Cosmopolitan named after the magazine? Many people believe that the Mojito was the first cocktail ever made. 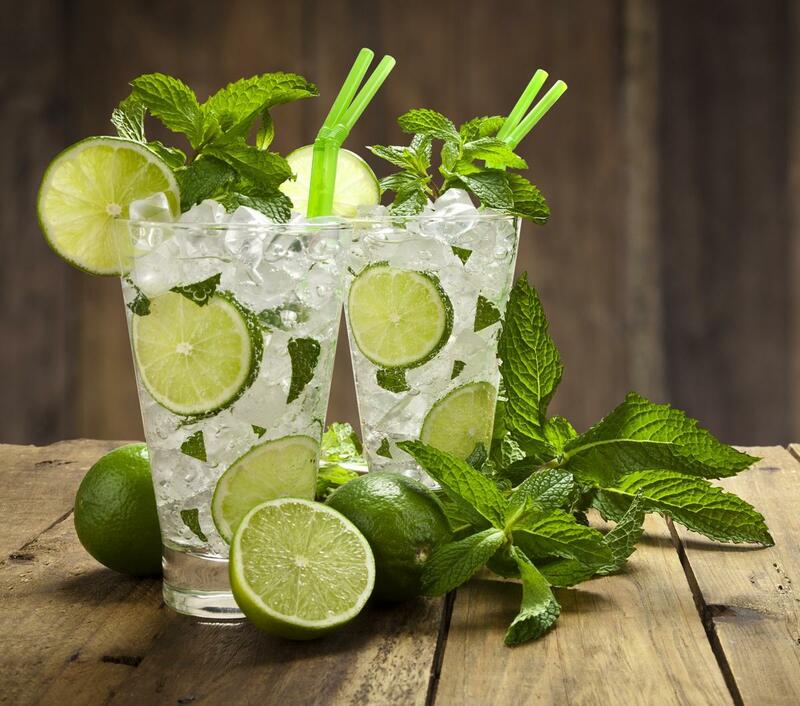 A Mojito is usually made using white rum, sugar or sugar cane juice, lime, mint, and carbonated water. The drink has been around since the early 16th century, when pirates in Cuba tossed their rum together with mint, lime, and sugar. Back then the drink was called the "El Draque," in honor of Sir Francis Drake. According to stories and legends, the drink was created to mask the harsh flavor of the primitive form of rum used, called tafia/aguardiente and make it more tolerable. By the 19th century the taste of the drink had improved dramatically due to the use of copper stills that could put out a much better tasting form of rum. The modern-day name "Mojito" probably comes from a Cuban sauce called mojo, made from olive oil, garlic, and citrus juice. 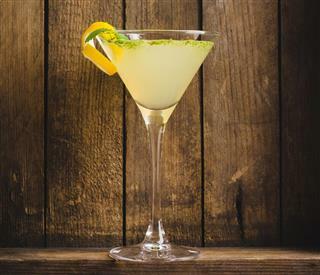 Since one of the main ingredients is lime juice, the drink became known as a lime cocktail with a little mojo in it, or in Spanish, a "Mojito." Although the drink was first invented to make bad rum drinkable, it is now one of the most popular cocktails in the world. The Manhattan has often been called the "king of cocktails," and is one of the six classic cocktails described in David Embury's famous book, The Fine Art of Mixing Drinks. 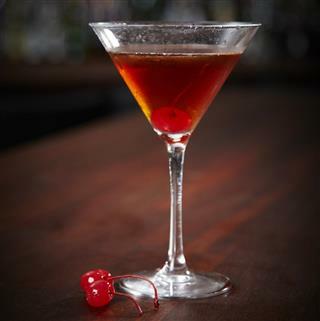 The Manhattan is a very potent drink made with a mixture of whiskey, sweet vermouth, and bitters, and is most often garnished with a maraschino cherry. 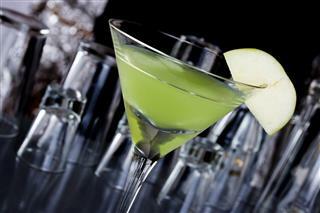 It was supposedly first created at the Manhattan Club in New York City, and hence its name from the early 1870s. Legend has it that the drink was invented for a banquet hosted by Winston Churchill's mother in honor of presidential candidate Samuel J. Tilden. Some say the cocktail became fashionable in New York City's power circles, where people started requesting the drink by referring to the name of the club where it was born. However, some people say the drink had nothing to do with Churchill's mother and it was just a staple of the club, and another legend says that a bartender on Broadway invented it sometime in the 1860s. But no matter which version you believe, the cocktail does bear the name of the spot in New York City where it was first blended and served. 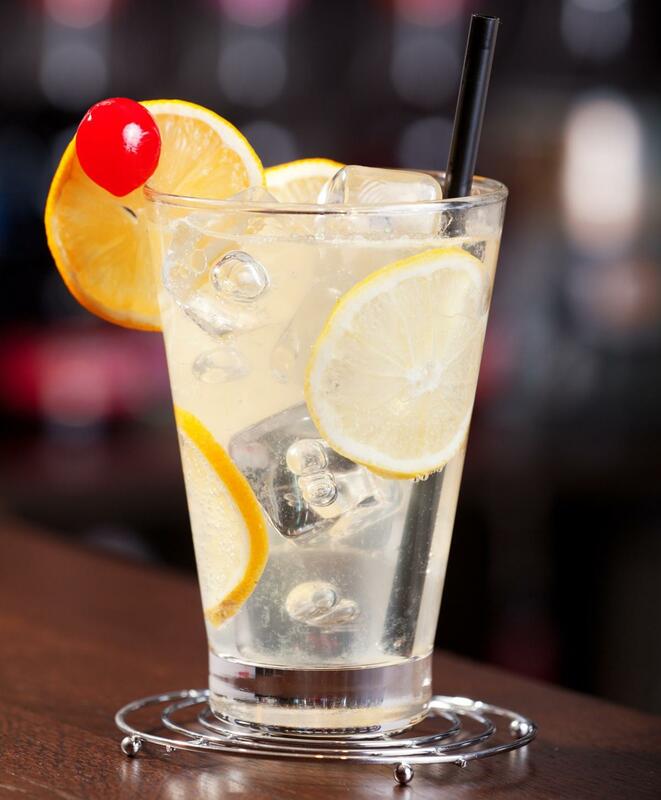 Many people assume that the Tom Collins was named after a real person, but the debate rages on over whether there ever really was such a person. One popular story is that this drink made of gin, lemon juice, lime juice, and soda water was named after a John Collins who was a headwaiter at a London hotel in the early 19th century, and the name was changed to Tom Collins when Old Tom brand gin was substituted for the drier gin used in the original recipe. But another story, which is the most lively and entertaining of the various legends, involves a hoax that ran through New York City in 1874. Whenever someone wanted to pull the prank on you, a friend would catch you on the street and with a concerned look, tell you that a fellow named Tom Collins was in a bar down the street saying horrible things about you. So you'd hurry to that bar to confront the guy, but you'd be told that Tom Collins had just left, headed for another bar several blocks away. So you'd head for that bar, where you'd hear again that Tom Collins had left to go to yet another bar. As you made the rounds of the city looking for this Tom Collins, the friends who initiated the prank would be sitting in a bar somewhere howling in laughter. Even local newspapers started reporting the prank, saying that the hoax caused "frantic young men to rush wildly through the streets of the city on Saturday hunting for the libelous Tom Collins." Most people imagine that the drink was created because with all of those men barging into bars demanding Tom Collins, some bartender somewhere decided to offer them a cocktail with that name. Now the favorite, James Bond, the Martini. 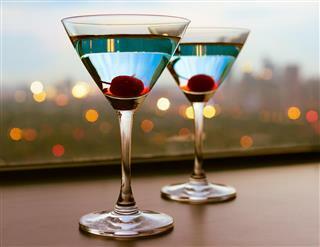 Nowadays the Martini has become a classification of drinks rather than just one recipe. Even though the basic recipe is the same-gin, vermouth, and bitters, you can now get variations such as Appletinis, Vodka martinis, and Dirty Martinis with olive juice in them. Famous and powerful people such as Truman Capote, Winston Churchill, and Ernest Hemingway have been known to favor martinis. 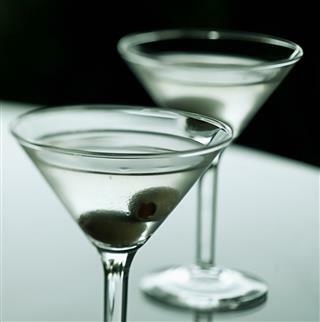 The first version of a Martini is believed to have been mixed around 1868 in Martinez, California. That original recipe consisted of sweet vermouth, gin, and bitters, garnished with a maraschino cherry. The contemporary version is much drier, replacing the sweet vermouth with straight vermouth, and garnishing it with an olive rather than a cherry. During prohibition, the cocktail was the drink of choice in speakeasies across the country because gin was easily accessible. 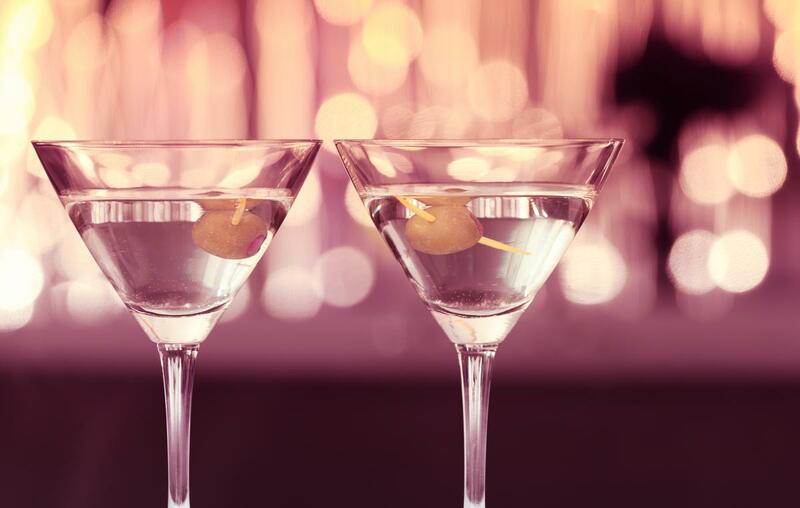 For many people, gin martinis were the only drink available. The modern vodka version was not created until much later, and most purists insist that a cocktail made with vodka isn't an original one at all.